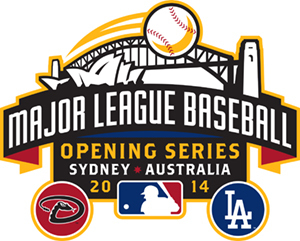 Because this horrifying month is the shortest of them all, we’re down to some 28 days and a wake-up from the Major League Baseball Opening Series in Sydney Australia on March 22nd. The opening series will be entertaining not only because it’s the first counting baseball that we’ve had since October, but it will be held at marvelous Syndey Cricket Ground. Throw in Yasiel Puig, Paul Goldschmidt, Mark Trumbo, and Hanley Ramirez into a friggin’ cricket stadium and make them play baseball, and you’re bound to see something interesting. There’s another thing you may not realize that will make this opener unique in it’s own way. For fans in the United States, the opener will actually take place at 4 AM Saturday morning. For fans like us, there’s a good chance we just ride out Friday evening and turn it into an all-nighter. At some point, people will need to sleep. And that’s not just because you can’t function without it. It’s because at 10 PM that Saturday evening, Vin Scully will be back on the air calling the second game of the series. For some nutbags out there, that’s two games packed into one Saturday. Then there’s all day Sunday to recover for work on Monday. It literally cannot get here soon enough. When I hear that jolly old man telling stories and calling the auction in the wee hours of the night that glorious March 22nd day, I’m going to be like a kid on Christmas.